A memento mori (Latin remember that you will die ) is an artistic or symbolic reminder of the inevitability of death. The second Clockwork are photos of clocks. Augustinus wrote a whole long chapter in His Confessiones about the time. The time does not fit into the European civilization: we can not manipulate it. 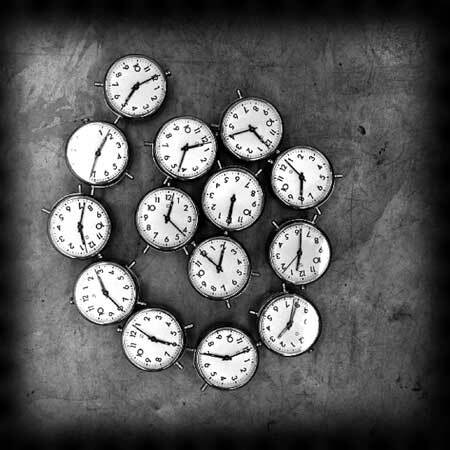 Clocks - in contradiction most of the machines - have can not manipulate their subject. All of them is a memento mori , like the sun-clock of the Benedictiner Monastery of Pannonhalma. Its text: One of these hours will be your last one . Where do point the hands of the clocks? What mean a sign transformed by geometry? The browser can not play this sound. Download it and try with the player of the device.